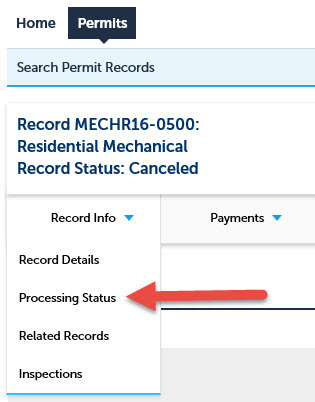 How do I check the review status of a permit? 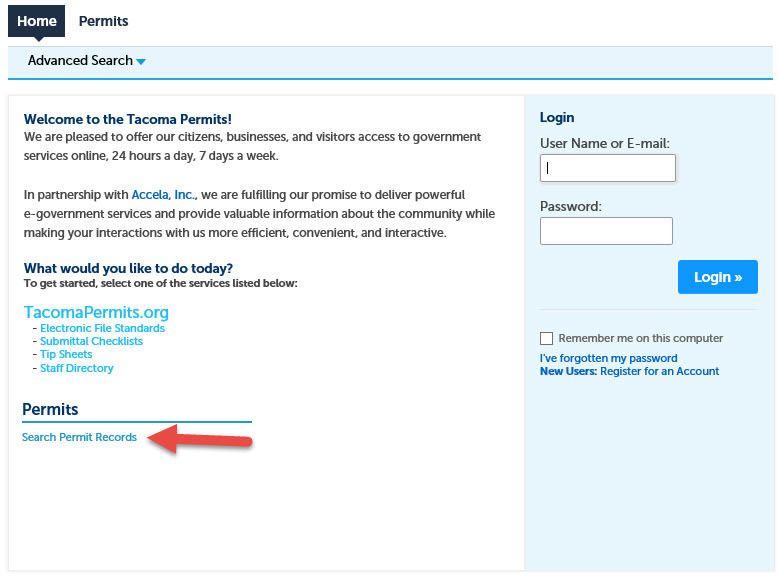 To check the review status of a permit, log into your Accela account at https://aca.accela.com/tacoma and select Search Permit Records (1). Then enter in the permit number (2) and access the details of the permit. Under the menu Record Info select Processing Status (3). Posted by admin on November 28, 2012 | FAQ Sections: Permits and Fees.